Martha's Favorites: TEA CUP TUESDAY NO. 309! TEA CUP TUESDAY NO. 309! Hello ladies and welcome to Tea Cup Tuesday No. 309! Hope you have all been well and that the weather has treated you alright. We have been having beautiful days here. I am in the middle of doing some major yard work. We have a very old and very large Sycamore tree that has died. My son is going to cut it down tomorrow. I am so sad to see it go. The back yard is going to look so different without it. 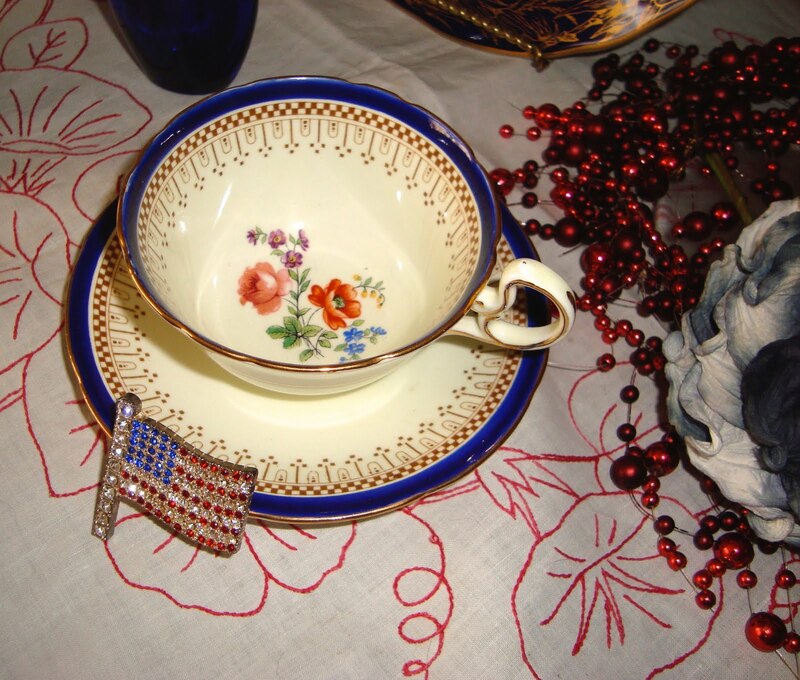 Today I am sharing an Aynsley Tea Cup, perfect for the summer holidays. 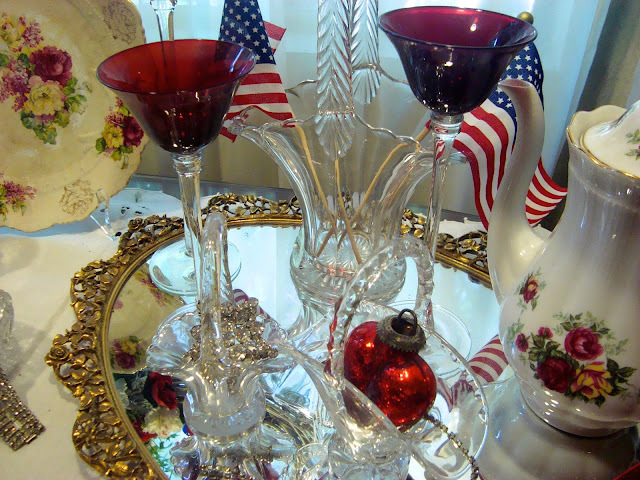 During June and July I decorate the house in Red, White and Blue colors. It is perfect for the summer. Hi Martha! You made me laugh with the song...the old gray mare! Your teacup is a beauty and so is all your decor for June and July. It's sad to have a tree cut down. It's kind of like they're part of the family and it's hard to part with them. Maybe you can replace it with something else? Thank you for hosting and for making me smile! 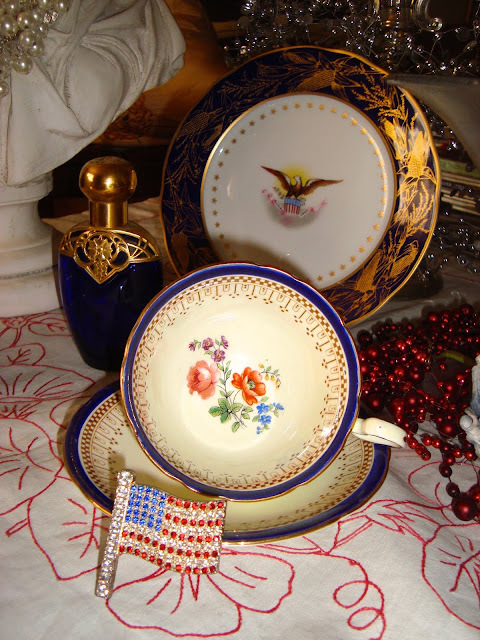 What a pretty teacup, Martha. It's sad to see a tree cut down but when they die, we don't have much choice. Maybe plant another in its place? Thank you for sharing and have a wonderful week. I agree; it's hard to lose a special tree and especially one that's a big part of your yard. I'm impressed you have already decorated for the next two months. I really like the idea of sticking to red, white and blue. Your Aynsley is such a rich royal blue. Hard to find that color on teacups. Hi! Never have dealt with a dead sycamore tree just live ones. They are beautiful. The leaves were what got me after they fell off the tree. We'd have so many leaves to rake. Your home is so red/white/blue festive. Love it. Oh just ask my husband how I moan, wail and weep when trees have to be cut down. It is SO sad. Then there's my neighbor who had the biggest healthiest tree in the front yard and a new neighbor told them it hides their house too much so they cut it down - that was 3 years ago and their front yard is STILL just dirt - they never put sod down or anything and every year they say they will fix their yard - but now it is bright and not shady and not private - what fools. I was so upset I couldn't even discuss it with them. To come here always means to find so much ancient charm, blessed be, my darling Martha ! That is a beautiful teacup Martha! Thanks for hosting! Lovely teacup, Martha. 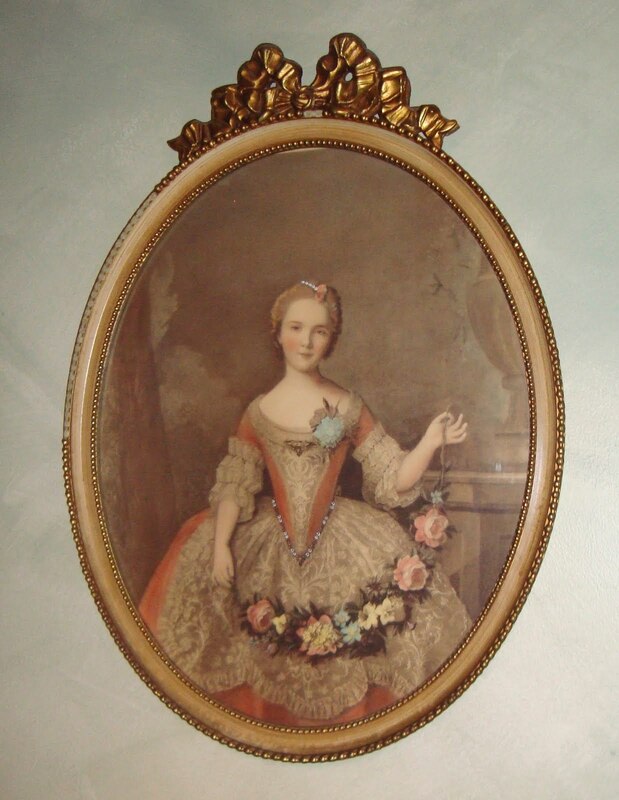 I've always been a fan of the Aynsley designs. I'm sorry to hear about your dead Sycamore tree. The Emerald Ash Borer (an invasive pest beetle) has killed millions of ash trees here. Love the teacups! 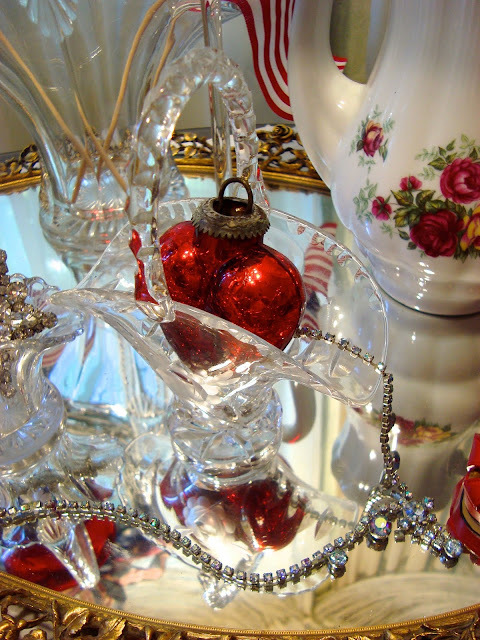 A wonderful idea to decorate in red/ white /blue! I'm so sorry about your tree, Martha. It's so sad when a large, beautiful tree is cut down. I once saw an article that likened trees to friends, and I must say, that is how I feel about trees. Anyhow, beautiful teacups, as always. P.S. Check out my new blog, Embracing Home, if you have a chance. I'm loving being back in blog world. This week is crazy as we had company so I am late arriving to say thanks for sharing and linking to my BTTCG Blog Party. 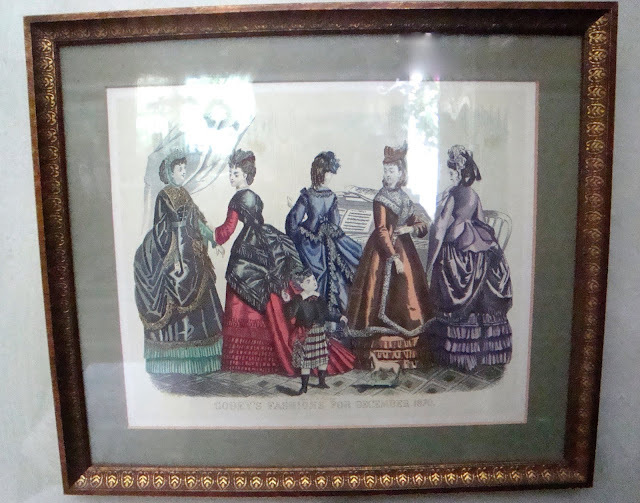 I love your Victorian ladies picture and you saw I have some of these. Your post is very pretty as always and I always enjoy your collections and jewelry accents! This post is one of the special featured ones on my blog today. Congratulations! I found your beautiful blog today through Bernideens tea party. I like the Victorian charm of your blog. I also like tree and have planted a lot of different kinds on my property and it sad when we lose one. I am your newest member. I am so sorry to have missed your tea last week! It was a lovely one, especially with all your red white and blue. I hope to see you this week for tea as I have actually posted! Yay! I have missed you all! CELEBRATING FATHERS WITH TEA CUPS! TEA CUPS AND GIANT ANTS!